Guy Dauncey is probably British Columbia's finest and best known environmentalist (and he's certainly one of Canada's best). For years now, he's been publishing EcoNews monthly, and this month's lead editorial really struck a chord with me (sorry for the pun). I'd like to share it with you here. Hey, maybe you're the one who is going to write this song! 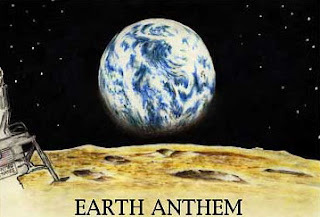 WHERE IS OUR EARTH ANTHEM? That may seem a strange question when we are trying to tackle such enormous problems as global warming, species extinction, and the need to redesign our whole way of life so that it doesn’t trash the way our children and grandchildren live. But where is the music that makes us feel the inevitability of victory? Our culture is producing and listening to more music than ever, yet there is this big piece missing. We have new age music that celebrates the purity of nature; punk, hip hop and heavy metal music that denounce the injustices and stupidity of the world; and folk music that mourns the loss of beauty and the dying of species — but where is the music that celebrates a future in which we succeed in building a sustainable world, and makes us determined to get there? It is impossible to recall the South African struggle against apartheid without the stirring music of Nkosi Sikeleli and a host of other songs. Way down in Egypt's land. We shall overcome one day. Today, we face a peril like no other, and people all around the world are working overtime to tackle the multiple threats to Earth's ecosystems — but forty years after the first Earth Day, in 1970, where is the global Earth Anthem we can sing together to celebrate our determination to succeed? No-one has written it. That is the surprising reality. There are songs that address environmental themes, including many by Victoria's singer/songwriter Holly Arntzen, but where is the all-commanding anthem that will draw us together with words of such joy and determination that they give us the strength we need to persist with the work and overcome the many setbacks and obstacles on the road to victory? Its absence, I believe, lies in our failure to articulate what "victory" means, or even to believe that it is possible. Too many people think collapse and failure are inevitable; some even welcome the prospect, believing it is we greedy consuming humans who are the problem, and the sooner we are gone the better. Some believe that the best way to mobilize people is by attacking the greedy polluting corporations and their evil capitalist ways, destroying more forests, polluting more oceans, and selling us more garbage for the sake of a buck. It may be true, but it does not convey a vision of victory. Victory has to be more than a successful defence — protecting a forest, saving a beach, stopping a housing development. Victory has to be the shining city on the hill, a utopian vision similar in power to those that inspired people to work so hard to achieve public health care [here in Canada], public education, pensions, the end of child labour, and votes for women — things for which we are enormously grateful, even if we take them for granted. The vision of victory, sufficient to inspire the world's first Earth Anthem, must offer a shining vision of Nature protected, our economies and banking systems transformed, our food supply secure in our own hands and the hands of organic farmers, our energy being entirely renewable; our neighbourhoods being resilient and full of celebratory cooperation; our nations working together to restore Earth's ecosystems; our hearts full of respect for each other no matter the colour of our skins, the way we love each other or the amount of money we carry in our pockets. These things are all possible — and if we believe them not to be, it is only because we have forgotten our history, and the astonishing things we have achieved in the past. Creating global harmony with Nature is no larger a challenge than ending slavery or creating democracy. It takes innovation, struggle and persistence, but above all it takes vision — and an Earth Anthem that will inspire our hearts to sing. As soon as that song is written, we will know it — and from that moment on, victory will be that much more possible. We need to believe in the future. Earth's creatures and our own children and grandchildren ask nothing more. I have confided this before, but sometimes I come home from grocery shopping or a meeting and find my husband weeping at his computer. 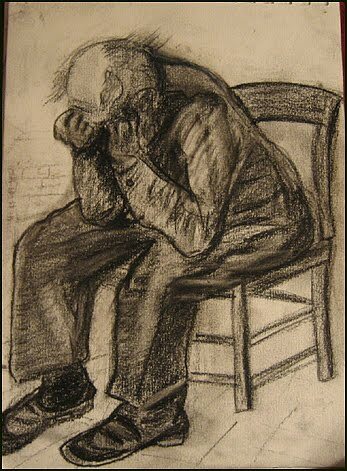 He'll have just read some more devastating climate change news — and realize that virtually no one else cares. "'I am hearing more and more people deny anthropogenically-caused climate change and wonder what you have to say to the increasing number of people who believe that we are simply in a natural cycle that we will pull out of in the next few years, that we are going through a period of intense sun-spot activity that will be over in the next year or two, or that there is no climate change at all, but that there is a concerted effort from some members of the scientific community to make us think there is for some nefarious reason, such as to destroy the western economy (which makes the scientists either socialists or in league with Al Quaeda) or they are in league with government and corporate powers to exert even more control over our lives and erode our civil liberties even further. What is your position on climate change? Does it, in fact, exist, and if so, do we have any active part in causing it?'" Well, the short answer could be, "Can you say 'sulphur hexafluoride'?" "Nitrous oxide and sulphur hexaflouride [sic] are increasing. Sulfur hexaflouride [sic] (SF6) is the most potent greenhouse gas on a molecule-to-molecule basis, and has an atmospheric lifetime of about 3,000 years! But, since SF6 concentrations are relatively low at present, their greenhouse effect will not be felt for many years [my emphasis]. SF6 is used in the electrical power transmission industry and its sources are mainly in the northern hemisphere." "According to the Intergovernmental Panel on Climate Change, SF6 is the most potent greenhouse gas that it has evaluated, with a global warming potential of 22,800 times that of CO2 when compared over a 100 year period. Measurements of SF6 show that its global average mixing ratio has increased by about 0.2 ppt [parts per trillion] per year to nearly 7 ppt in 2010. Sulfur hexafluoride is also extremely long-lived, it is inert in the troposphere and stratosphere and has an estimated atmospheric lifetime of 800–3200 years." I'm hoping this will explain to the radio audience why one hacker and a few booboos don't mean that climate change isn't real, and will put to rest any notion that climate change is no longer a serious and urgent problem — of our own making. So, this week the executive director of the UN Framework Convention on Climate Change, Yvo de Boer of the Netherlands, passed on the reins to the new ED, Costa Rican Christiana Figueres. Many development agencies cheered when Figueres was appointed (and celebrated when she took office Thursday), as they felt that a woman in this position would put gender-specific climate change mitigation and adaptation strategies on the table. "I don't see the [negotiation] process delivering adequate mitigation targets in the next decade. Over the longer term, I think we will get this issue under control. Having said that, I do believe that it's a longer journey." But Mr. de Boer is tired. He's worked hard and must be broken-hearted at the lack of progress. But Ms Figueres is brand new. She'll be brimming with optimism, right? Wrong. As reported by Agence France Presse on 9 June 2010, at the Bonn climate change talks Figueres cautioned that "it could take until 2050 to build the machinery that will ultimately tame greenhouse gases." She insisted that she is approaching her new job "with optimism tempered by hard-edged realism." Ah, realism. I think the world has probably had enough of that lately. "I continue to be confident that governments will meet this challenge, for the simple reason that humanity must meet the challenge. We just don't have another option," she said. "I don't believe that we will ever have a final agreement on climate ... in my lifetime. Maybe in yours." Political progress on climate change would lag behind scientific warnings for many years to come — and those who expect a quick fix will be disappointed, she intimated. So why would we have someone running the climate change negotiations who doesn't understand that not reaching an agreement in her lifetime (she's my age, for heaven's sake, and I plan on living another several decades!) will mean curtains for life on Earth? Well, here's another quote from Figueres, one that shows she perhaps doesn't understand the science — or the human costs of climate catastrophe — all that well. In response to the question "How critical is the need for adaptation measures and how should those be focused to protect the most vulnerable populations? ", Figueres first applauds the Copenhagen Accord's aspiration of a maximum temperature increase of 2ºC. Whoa! Doesn't she get that carbon feedbacks are already kicking in, meaning we should be aiming for no more heating at all? Then, luckily, she backpedals a bit: "While a good first step, this temperature increase does not guarantee the survival of the most vulnerable populations within their own boundaries and represents dangerous threats to their livelihood. Therefore, adaptation is critical to cover the impacts of that warming." "We know that farmers who depend on predictable weather patterns and water availability [name one who doesn't, I would ask] are going to be the most affected. Obviously, countries with the least resources or where agriculture represents a disproportionate share of their people's occupation will be the most at risk of climate change and the most in need of adaptation measures. Small island states, a large part of Africa and countries like Bangladesh should be obvious recipients of large investments in adaptation." Got that? The hint is in the words "livelihoods" and "occupation." 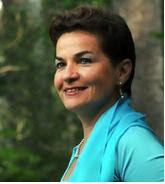 Ms Figueres is thinking in terms of money, not ecology. If farmers' livelihoods are impacted by climate change, folks, then FOOD is impacted by climate change. And WE ALL NEED FOOD TO SURVIVE (well, except for those breatharians). If agriculture goes, we go. We have evolved into a species dependent on agriculture — practically all of us. Why are agriculture and food security so soundly ignored by head honchos of the climate change negotiations? Seriously, can't some of them think in terms of getting a climate agreement sooner rather than later, so that we can safeguard the future of our children? What are they going to eat? What are we going to eat? Can't Win for Losing — Why Do We Ignore the Principles of Sustainable Development at Our Peril? As reported by the Netherlands Environmental Assessment Agency (June 2010, No growth in total global CO2 emissions in 2009), the economic downturn in late 2008 and 2009 meant that the world's developed countries (OECD nations and Russia) spewed 7 percent less carbon dioxide than the year before — a dramatic decrease. This is the first time since the 1992 recession that global CO2 emissions have not increased. Good news, right? (Oh yeah!) "This would have been the largest drop in more than 40 years because the global recession froze economic activity and slashed energy use around the world." 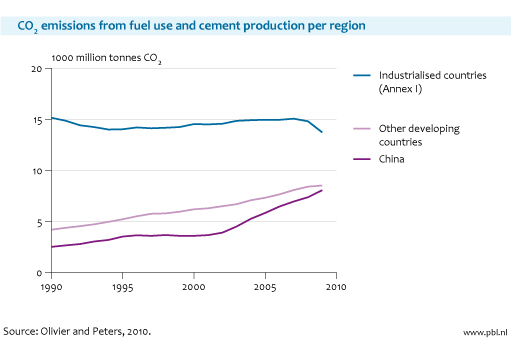 However, the CO2 emissions of China and India increased 9 percent and 6 percent respectively — strong increases. This also means, obviously, that we have done a very poor job of teaching about and insisting on sustainable development and its principles as a discussion, planning and decision-making framework. Sustainable development, which was introduced to the world at the Rio Earth Summit in 1992, has been around for almost 20 years — and still we have developing nations developing in ways that aren't sustainable ... while we in the developed parts of the world continue with our unsustainable growth. Ah, it's all nuts. Just nuts. Why can't we all grow up and learn to get along ... like Wombat says? It's Official Again — It's Time for the World to Go Veg! 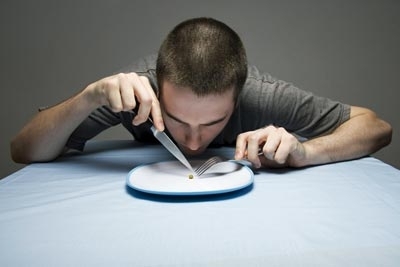 Agriculture and food consumption are identified as one of the most important drivers of environmental pressures, especially habitat change, climate change, water use and toxic emissions. The use of fossil energy carriers for heating, transportation, metal refining and the production of manufactured goods is of comparable importance, causing the depletion of fossil energy resources, climate change, and a wide range of emissions-related impacts. The impacts related to these activities are unlikely to be reduced, but rather enhanced, in a business as usual scenario. This study showed that CO2 emissions are highly correlated with income. Population and economic growth will hence lead to higher impacts, unless patterns of production and consumption can be changed. Furthermore, there are certain interlinkages between problems that may aggravate them in the future. For example, many proposed sustainable technologies for energy supply and mobility rely for a large part on the use of metals (e.g. in batteries, fuel cells and solar cells). Metal refining usually is energy intensive. The production of such novel infrastructure may hence be energy-intensive, and create scarcity of certain materials, issues not yet investigated sufficiently. There is hence a need for analysis to evaluate trends, develop scenarios and identify sometimes complicated trade-offs. In the online description, they use the terms "agriculture and food consumption." But listen to what they have to say in this video, mostly filmed at the launch of the report. Please share this with your friends and climate change adversaries alike (http://www.youtube.com/watch?v=tQlekfaPyaA).